Welcome to the 2017 Lavendon Show Scarecrow Page! 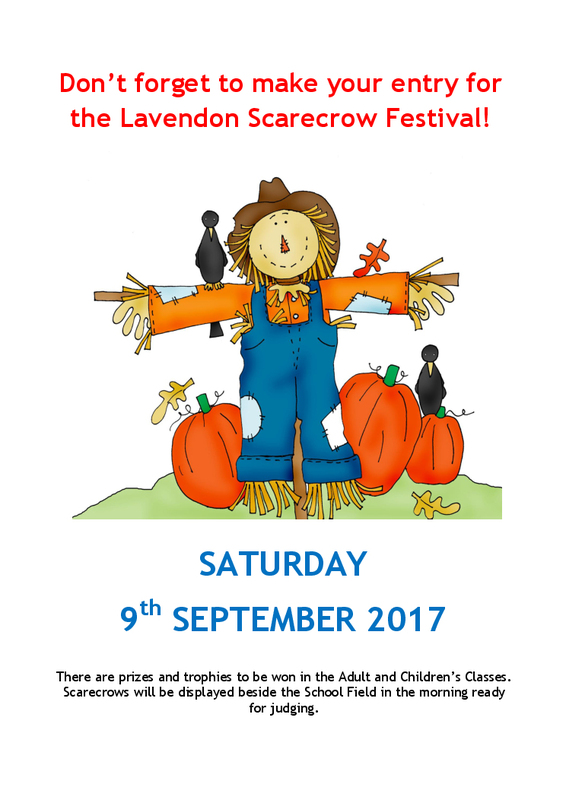 The Lavendon Show will be held on Saturday, 9th September 2017 and as usual it will include a traditional Scarecrow Competition for Adult and Children’s entries, with trophies and medals to be won! Some of the Scarecrow entries for previous years can be seen by clicking on the links shown elsewhere on this page. The idea is that the Scarecrows are put outside in competitor’s gardens or elsewhere for everyone to see during the week before the Show day. On the morning of the Show the Scarecrows are taken to the School playing field where they will be judged by Peter Geary and Debbie Brock.